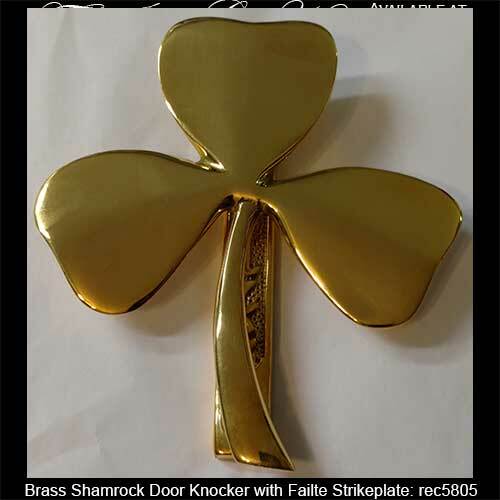 This brass Irish door knocker features the shamrock and it is enhanced with a Fáilte strike plate. This shamrock door knocker measures 5" wide x 5 1/2" tall. The hinged shamrock serves as the strike and it is attached the strike plate that rests underneath. The strike plate is embossed with Fáilte, the Irish word for welcome. 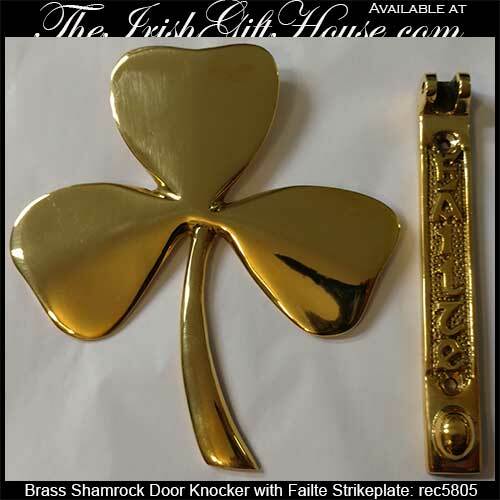 This Irish door knocker features solid brass construction and is gift boxed with a shamrock history card that is compliments of The Irish Gift House. The brass shamrock door knocker is made in the United States.